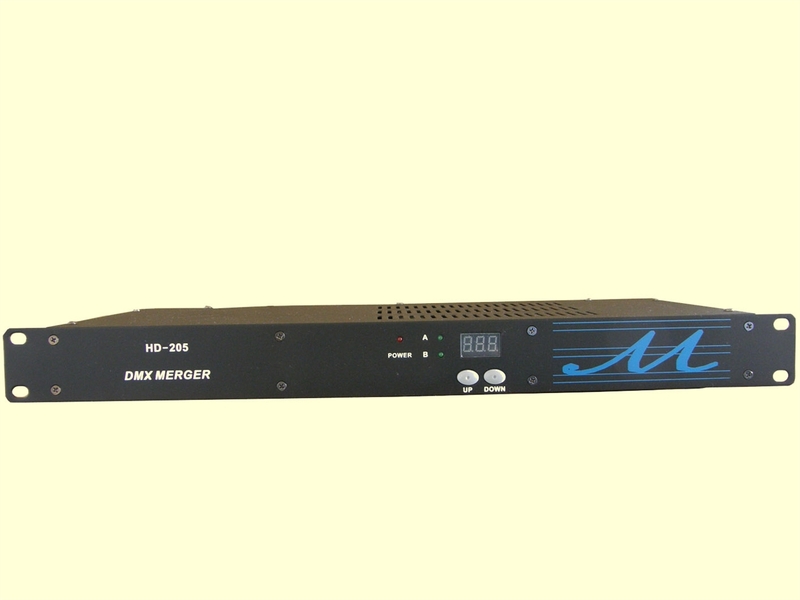 The unit is a 2 input 1 output DMX 512 Merger with 3 operation modes. 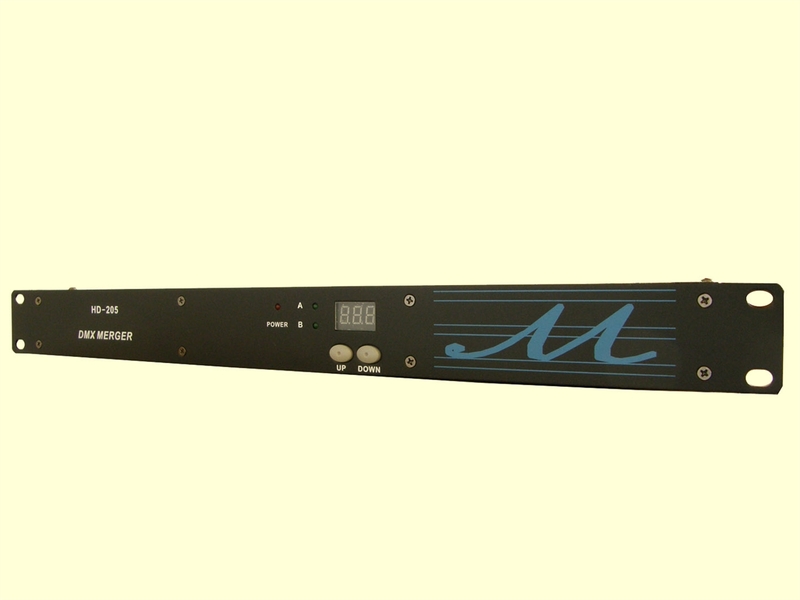 It can be used for using 2 light controllers on one DMX line or for backup using a second lighting desk. 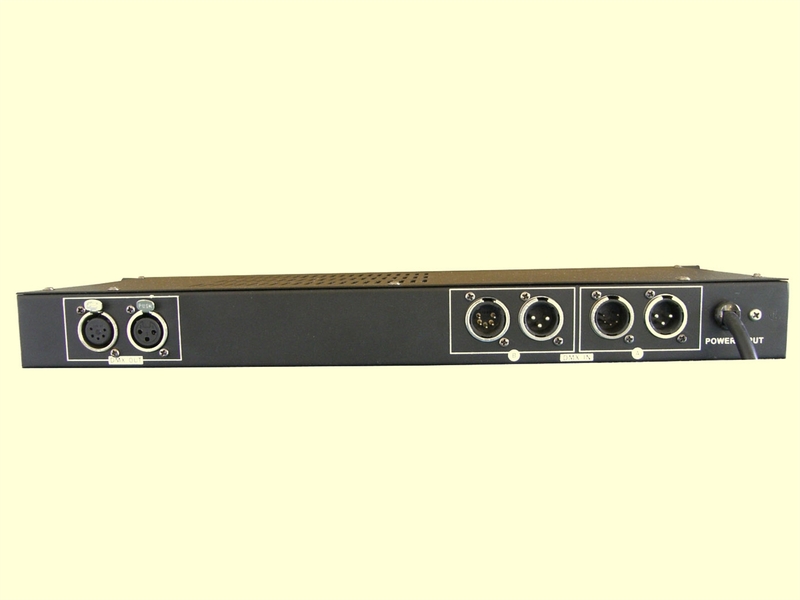 You can get a 512 channels DMX controller. DMX B Valid DMX 512 is on input B. The output DMX is generated using both data of input A and B.Each channel on A and B is compared and the last that has changed will be on the output. Channel 1 from input A is compared with channel 1 of input B, 2A with 2B, 3A with 3B, and so on. This Operation is useful when using the lighting desk to control intelligent fixtures. So channel 1 from input A is compared to channel (off set) from input B, 2A with (off set+1)B, and so on. This mode is useful for using two lighting desks (one for moving lights and one for dimmer) on one DMX line. A time of 1 second). Power input:………………………………………AC 230V 50Hz, 10W.